The Apple Watch hasn’t had the sure-fire success of Apple’s other products – when the Apple Watch came out, it was more of a collective “oh, that’s nice” rather than a gasp. Would I feel comfortable in calling the Apple Watch a bust, though? Not really. With rumors swirling that the next installment of the Apple Watch, though, it looks like Apple is going to have another go at the smartwatch. Let’s assume that this going to be called the Apple Watch 2, which will be coming in 2017. If we’re going to see the next second-generation one soon, it’s best to expect it to be way better than the first, as I have personally found that there’s a lot of room for improvement to be made. There’s no announcement from Apple itself, but speculation is that it is going to hit the markets in next spring. Note that it did not arrive a year after the first – in its place, we received the watchOS 2, the smartwatch’s new operating system which introduced a number of drastic improvements. It is also likely that it could be set at a later date and be released with the next installment of the iPhone, the iPhone 7. Doing so would be a logical move: it would bode well for the Apple Watch to ride on the hype which will be made by the iPhone 7 (note: it could be waterproof!). Updating it every two years makes a lot of sense, at least for now. The smartwatch does not have enough content or functionality to be updated every year. It’s also more of a luxury device – the gold high end editions are priced at $10,000 to $17,000, hardly an ideal price range for a consumer product. A source who talked to Phone Arena, a website offering news and reviews about mobile phones, claimed that the Apple Watch 2 will have a video camera. Though this could be a great addition, it’s safe to expect that it won’t have the 5 MP front camera of the iPhone 6s…unless if Apple deviates from their regular standard of making their products as thin and less bulky as possible. Obviously, the addition of a camera would make the device larger. Even so, this signals positive things for the device: it will enable you to make video calls via FaceTime and possibly other apps like Facebook Messenger. Imagine making a video call through your wrist. Cool, right? 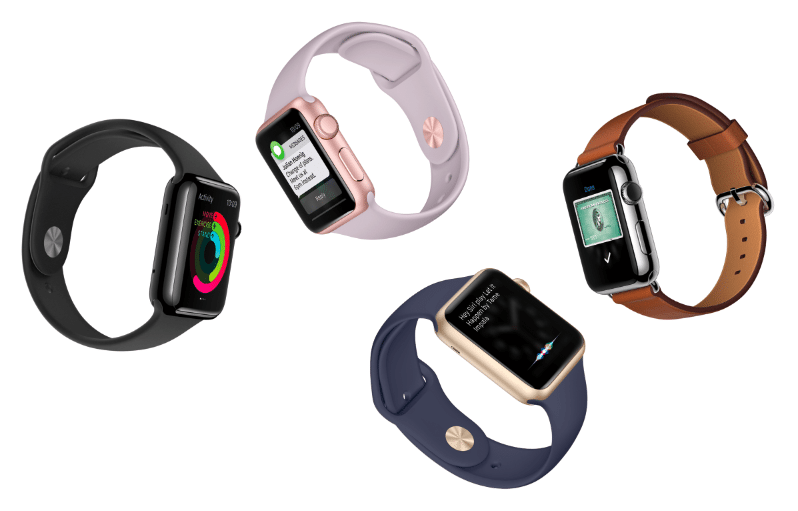 Will we see Apple Watch 2 become a more independent device than its predecessor? The Apple Watch 2 will sport a wireless chipset which will allow it to perform basic communication tasks without having to be paired with an iPhone. Note that the current Apple Watch needs an iPhone to maximize its full potential. It can only do a handful of tasks, like tracking workouts, setting alarms, and play music from a synced playlist. Seeing increased functionality on the smartwatch would be a welcome addition and could finally turn things around for the Apple Watch. Unfortunately, we shouldn’t expect the design team at Apple to release an Apple Watch with a circular frame, nor should we hope that it’ll be larger. Though the new Apple Watch will have a few software and hardware upgrades, it might still retain its current screen size, shape, and resolution. The new models may utilize new materials like titanium and new metallic alloys called Liquidmetal. The screen of the Apple Watch – and if you’ve used it you’ll probably agree with me – is rather thick. This may no longer be the case next year, since the rumor wires suggest that it will possess a thinner screen in favor of a larger, more efficient battery. The Apple Watch is already a great product in its own right, but it still needs a number of improvements to become a more prominent and a better product. Regardless, it’s still a first-generation device and Apple can use the mistakes it committed – along with the users’ complaints – to introduce a better smartwatch next year.